There are 2 floors full of artworks from Whitney museum collection which is related one way or the other to portraits. I made my selection here and in some of images there is something related to what is going on in my life currently. Look at the yellow image – a woman is super self-confident laying on a sofa in very open way with NYC views behind. 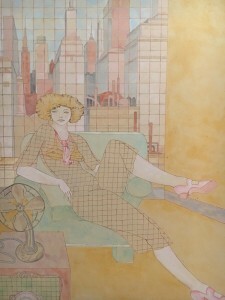 It is an art work by Susan Hall and this is for the image of a true New-York woman which I inspire to become. Good news is that she looks like me, it is just now a matter of aptitude. 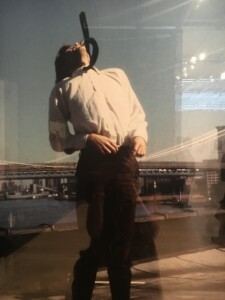 Just next to it – a man in an ecstasy mode in front of Manhattan. 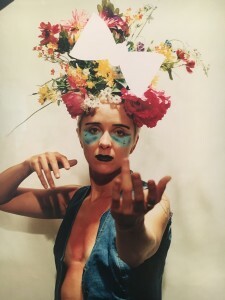 The other image is a woman with a bunch of flowers on her had by K8 Hardy. I see on this photo a subconscious, which this woman wears without even knowing, she is lucky that these are flowers and colors. I wish so much to wear the same, but maybe I do in reality? 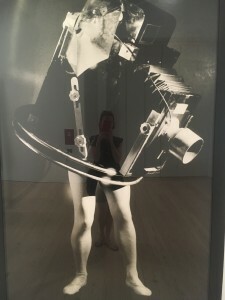 And next to it a photo where it is half woman half photo engine by Laurie Simmons. I see it both ways: woman got invaded by a desire to be photograph or photo engine needs a woman to exist. Then 2 fabulous portraits. 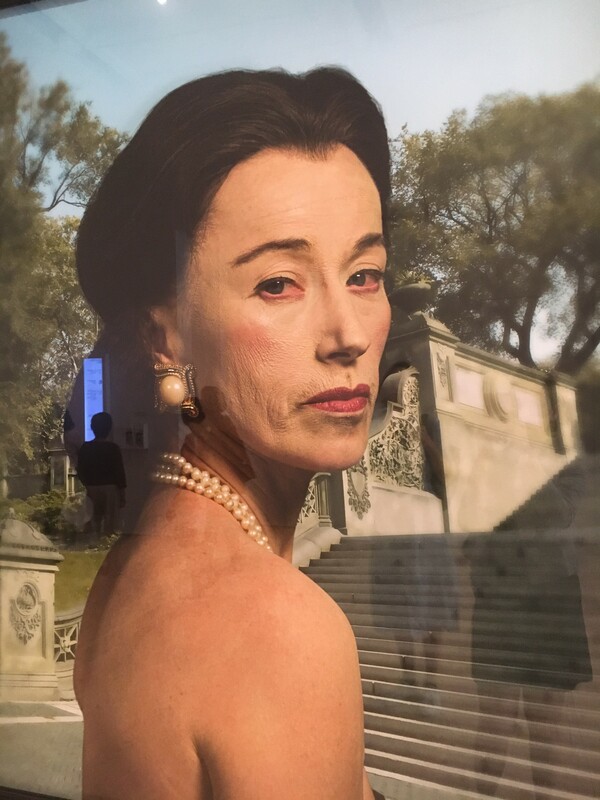 One from Cindy Sherman of an old woman who is still trying to be and look young, thinking everything is in front of her in life. And the other by Jack Pierson, which is a self-portraits by the way, of a young boy who indeed has everything in front of him. He is young and beautiful, but his face is taken by a terrible nostalgia. I’m thinking that if I were to start my collection, which is I’m about to do, I would for sure build-up portraits into it, I got so much inspired by this exhibition. Have a look too. It is there until beginning of 2017!